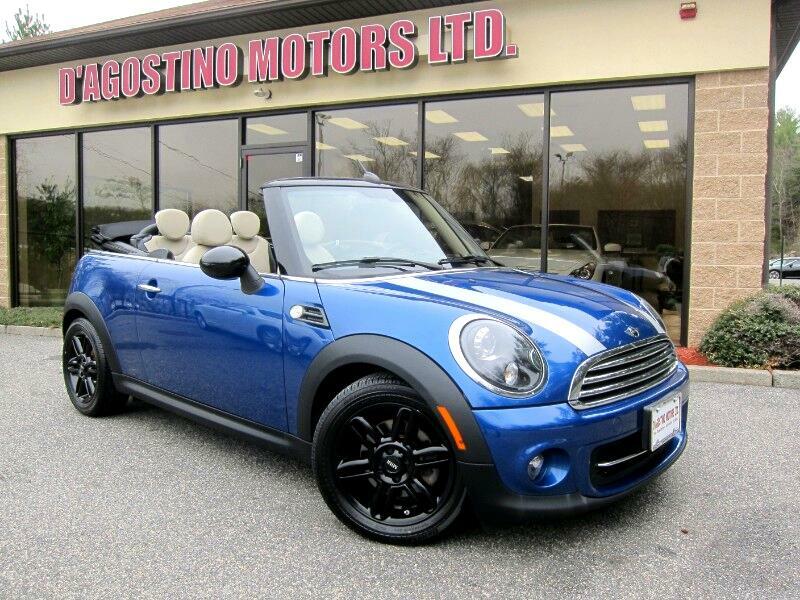 Used 2015 MINI Cooper Convertible for Sale in Smithfield RI 02917 D'Agostino Motors Ltd.
NEW ARRIVAL !!! ONE OWNER !!! CLEAN CARFAX !!! SUPER SHARP !!! SUPER CLEAN !!! FACTORY WARRANTY !!! NAVIGATION !!! BLUETOOTH !!! HEATED LEATHER SEATS!!! BLUETOOTH !!! MINI INFOTAINMENT SYSTEM !!! MUSIC INTERFACE !!! ON BOARD COMPUTER !!! SPORT LEATHER STEERING WHEEL !!! MULTI FUNCTION STEERING WHEEL !!! RAIN SENSING WIPERS !!! XENON HEADLIGHTS !!! POWER TOP !!! 18'' 6 STAR TWIN SPOKE BLACK ALLOY WHEEL !!! Come Experience the D'Agostino Difference! We Go Through our Vehicles with a Fine Tooth Comb from All Mechanical Aspects to an Extensive Reconditioning and Detailing Process, Expect to View the Cleanest Vehicles in New England Guaranteed !! !